GHANA’S BROADCAST MEDIA INDUSTRY; OVERPOPULATION, DISREGARD FOR ETHICS AND PIRACY ON THE RISE. 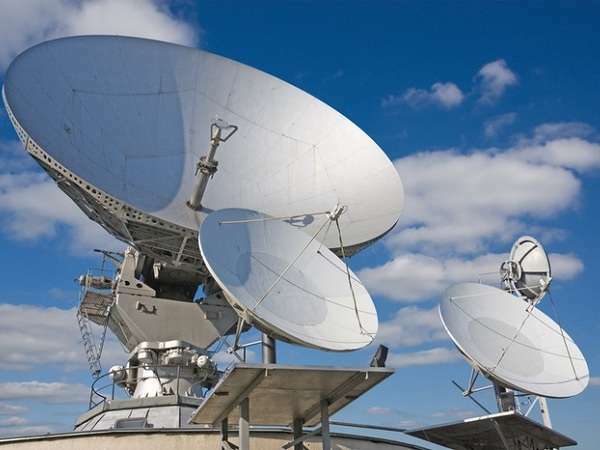 Ghana’s broadcasting industry is gradually becoming overpopulated and if necessary steps are not taken to revive the image of the industry to ensure standards are upheld, efforts and capital injected into such businesses may yield little or no returns. According to the National Communication Authority’s current statistics, there are 93 authorized television stations in Ghana; an increase of about 32 percent from the 2015 statistics which had 63 television stations. As for radio stations, the least said about them, the better. There are currently 345 commercial radio stations in Ghana competing for the same listeners and the same clients. How will these commercial radio and television stations that have choked the airwaves be expected to contribute meaningfully to the socio-economic development of this country? Can’t there be high standards and strict regulations instituted to protect industry players as implemented in other industries such as banks and telecommunications? Without the necessary restrictions and regulations, the few good and quality broadcast media houses might close down or not be able to make enough profit to grow, expand and provide Ghanaians with the quality television and radio experience we deserve as consumers. The effect of this is the increase in strategy imitation and no sense of originality in content and programming on our airwaves. You tune into radio and listen to almost the same style of programming across the frequency unless the few ones like YFM and ATLANTIS RADIO who originated unique programming and have sustained it for years. When industry regulators and decision makers fail to protect businesses, unethical business practice, unfair competition, illegal business activities and loss of business capital is what befalls the industry. To lay more emphasis, Greater Accra currently has 38 commercial radio stations in operation competing to attract the same listeners and clients. This has encouraged unfair competition practices such as piracy, extreme airtime price cuts and unethical media practice. Unfortunately, the regulatory authorities are unconcerned whilst media houses engage in such unacceptable business practices. Some Free- to air Television stations in Ghana continuously broadcast box office movies being promoted at Silverbird. This does not only have tendencies to collapse Silverbird Ghana’s legal business and efforts to reduce Ghana’s unemployment rate by creating jobs but also brands Ghana as a country with no rule of law. In addition, by so doing we profess our inappreciation for the creative arts. The average Ghanaian viewer does not care about piracy and would be happy to watch a box office movie for free but is that the country we claim to be developing for our children? Sadly, some of these stations win awards, mentions and sometimes appear on listenership and viewership rankings out of surveys conducted by leading research companies. Am I wrong to generalize that these stations lured viewers with their earlier pirated content and introduced original content strategy when they attracted the expected and acceptable viewership. Psychologists explain that similar to other mind engaging activities, television builds loyalty and easily maintains loyal viewers over periods of time. Stations that uphold ethical standard unfortunately suffer by losing viewership and revenue. Therefore, piracy is encouraged unfortunately because broadcast stations like any other business have bills to pay. Whilst I cannot blame some of these research companies because their research is purely based on viewership and audience, I believe we deserve a performance rating system where business ethics, fair competition etc. are part of the scale of measurement. What business and life principles are we imbibing in our students and young entrepreneurs? Isn’t content piracy as bad practice as cheating in an examination? If a student can be expelled from a tertiary institution for examination malpractice, why aren’t our television stations setting good examples and why are regulators not doing the needful. Piracy is unfortunately becoming the best strategy in launching a television station and winning audiences. In recent times, any successful entrepreneur with limited consistency acquires a license and operate a radio or television station and most importantly does not employ professionals to manage and run the affairs of the station. Is that how low and easy the 4th arm of government has been reduced to? Ursula Owusu (Communications Minister Nominee) and Joseph Anokye (Acting Director General; NCA), please bring sanity to the broadcast media industry.